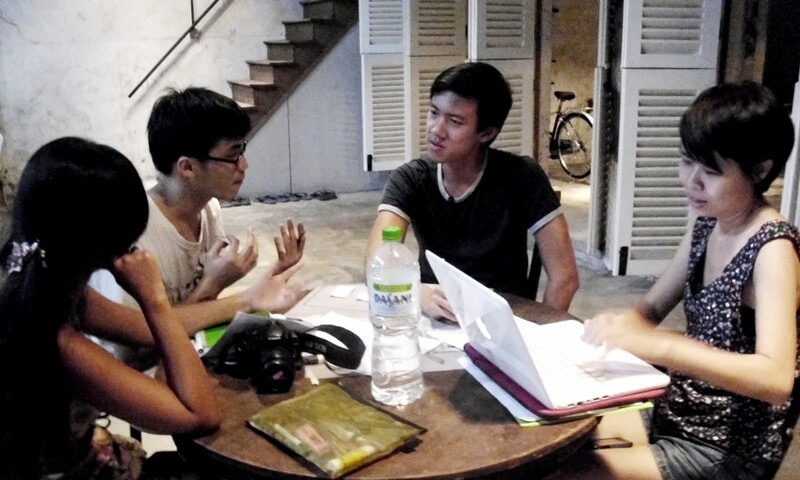 Last June I got an opportunity to be a part of #BetterCities’s pilot project, Urban Residency in George Town, Penang, in which 9 young creatives from architecture and design backgrounds collaborate to design a community space. 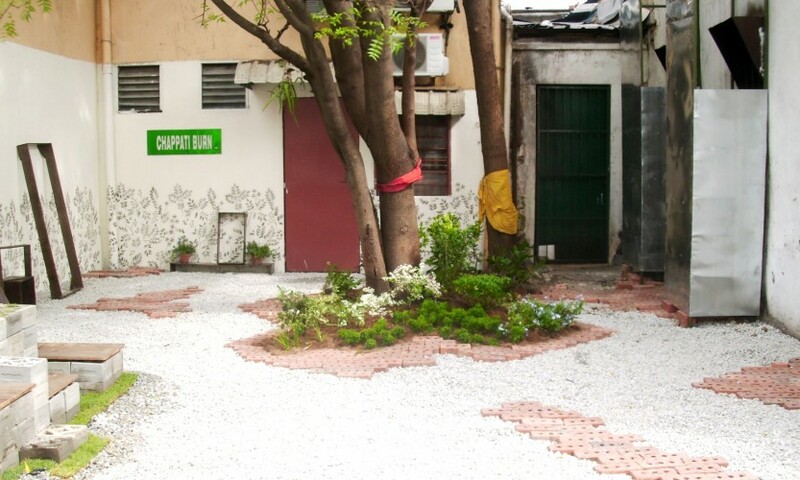 The site lies at a back lane flanked by shop houses and residences in Little India. Within a week, we have to design this almost abandoned pocket space into a place where community can use, gather and interact. Prior to our workshop, the #BetterCities team had conducted a 4-month research before locating this space as a case study. They made the design guidelines and requirements for us. So our aim was to tackle the Challenge Brief with a design solution that could be possibly built within a week. There was also a budget limitation, of MYR 8000. I decided to apply simply because I needed a breath of fresh air and a new experience. New perspective. Being a stranger in a strange city, my personal motivation in this project was simply to understand, to keenly observe. To sit back and listen. Turns out, I learned a lot. Since the first day when I arrived at Sekeping Victoria, the workshop venue, these creative people fascinated me. They all have sharp opinions and a deep understanding on many kinds of issues. Every discussion was intense. Every design decision was under careful consideration. Being among them, I learned new things: how to argue and solve problem in terms of design; how to interact with different layers of communities and authorities; how to implement ideas into technical construction (i.e. making it real); how to know when to brainstorm and when to make decision; and when to stop thinking and just do. I also heard many interesting stories from the participants: the art scene in Penang, the political situation in Malaysia, the creative people’s desire to be appreciated more, and the so many different approaches to tackle the urban challenges in the cities from what I know back in Indonesia. Yet, as the neighboring countries we share similar issues. Southeast Asian countries, especially our cities, are vastly growing. Some people are ready to face global challenges; they talk about a better future, a better world. Some are still absorbed in their conservative values and traditional way of living, which are actually great to preserve history and their roots. Being the generation in between, I think this is the opportunity for young people to address both sides with smart and creative kind of approach. Bridge the gap. Be the solution. Looking back at our work in the back lane of George Town’s Little India, for me, it is a good start. Having different creatives staying in an enclosed environment, given a design challenge to be solved together, having to understand and respect each other, I imagine the Urban Residency experience a close simulation of life on a broader context. Hopefully someday we will remember the experience as we work in different environments and seek new ways to communicate our values as we interact with people of different cultures and idealisms. The first time we opened the “Chappati Burn” garden (an accidental name coined by the discovery of an abandoned board we found on site), I saw the uncommon scene that I couldn’t find in my home country: people of different languages, colours, professions… interacting together like all other things never matter. To the young with hearts of passion and the old who are young at heart, I hope wherever and whoever you are, whatever you wish to be, you will learn something from whatever you are facing right now. To be a better person. Among a better community. In a better city. Rofianisa Nurdin is a fresh architecture graduate from Bandung, Indonesia; devoted in writing and asking questions. With friends from college, she co-founded Vidour in 2011, a collaborative architecture documentary group which have been engaged with layers of communities to document Indonesia’s most happening architecture and art events from Bandung, Jakarta, Flores, to Tokyo. Interested in arts, media, and culture; a creative community activist within Bandung Creative City Forum; and currently a research assistant in Bandung Institute of Technology. The much awaited video excerpts of speakers from #BetterCities’ first talk series of the year, “The Role of Architecture in Place-Making”, are finally up! In late April, #BetterCities co-organised a talk with Galeri Petronas and Foster + Partners. It was held in conjunction with the Art of Architecture exhibition (March 6 – May 12 2013). Our esteemed panel of speakers included: Marco Kusumawijaya, Karsten Vollmer, Yap Sau Bin and one of our collaborators, Lia Tostes. Marco Kusumawijaya, founder and director of RUJAK Centre for Urban Studies (RCUS) is someone who likes everything about the city. He is a practitioner, activist and thinker in the fields of architecture, environment, arts, cultural heritage, urban planning and development with more than 20 years of intensive experiences, orienting his practice and thinking towards sustainable urbanism and architecture. Trained as an architect (Parahyangan University’s Architecture Department, Bandung, Indonesia), he then completed his post-graduate studies in the Centre Human Settlements, Catholic University of Leuven, Belgium. In 2000 he started Green Map (www.greenmap.org) in Indonesia.